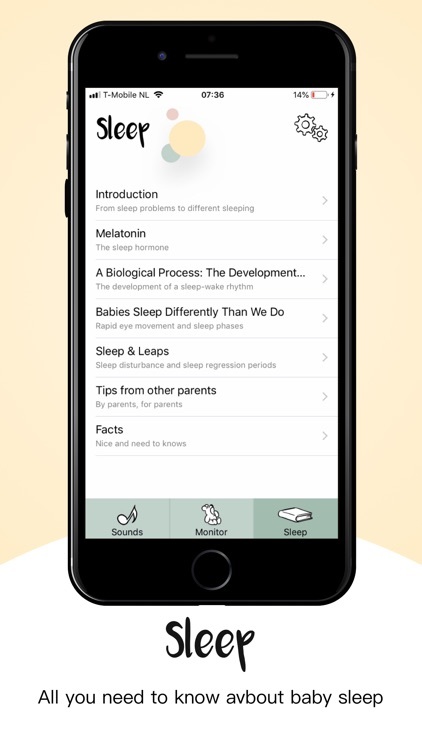 •	The Wonder Weeks: the trusted resource app of millions of parents around the globe. 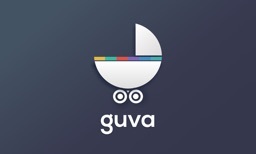 With this app, you’ll always have a baby monitor at hand. 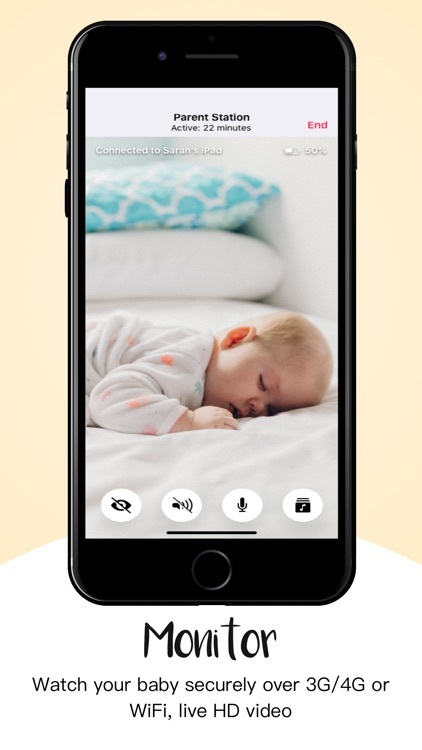 Simply create one baby monitor with unlimited range by pairing two devices (smartphone, tablet and / or iPod touch). The monitor will seamlessly adapt to be used over a secure 3G/4G connection when Wifi connection is lost. The choice is yours! This app is consistently reliable, even when it’s running in the background. 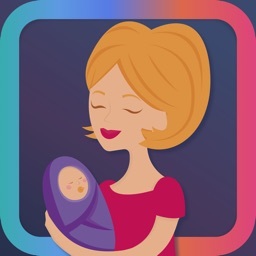 Soothe your baby by using the microphone feature to talk to your baby remotely. Let your baby know you're there. 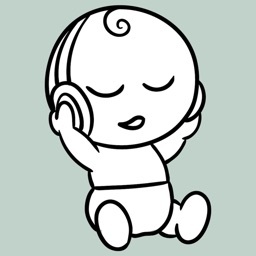 White noise and certain types of music are proven methods to help your baby fall asleep. We’ve selected and entered the best ones for you. 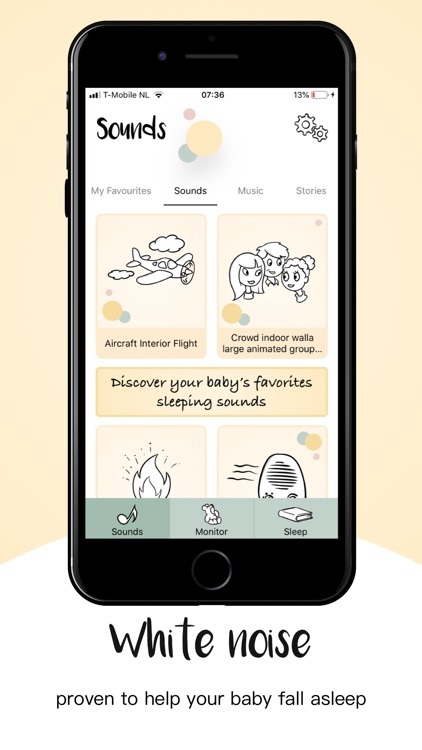 Remotely play sounds from parent station to baby station to help your baby sleep. 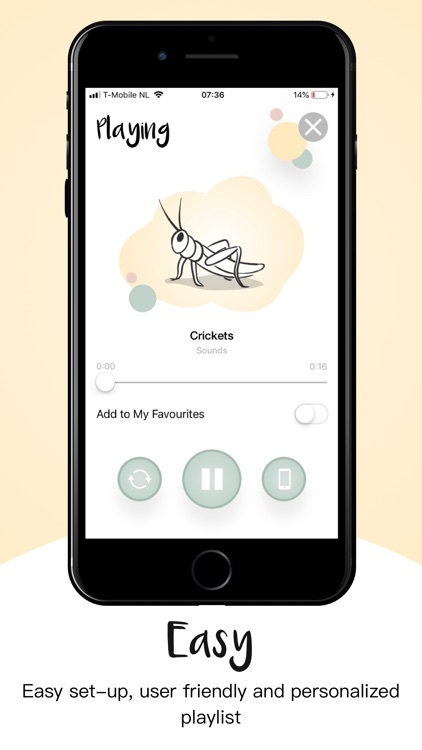 Also, create a unique playlist by adding audio to your favourites. Don’t want your child to wake? Audio files can be played on a continuous loop. 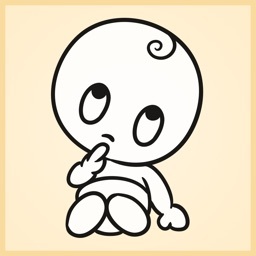 The audio can also be muted via both the parent and baby station. Get inspired and study everything you need to know about sleep in one of four languages: English, German, Portuguese (Brazil) and Dutch. Please note: This app includes bedtime stories as bonus which are intended for older siblings. Not for baby’s in leaps 1 to 10.